The incident with the Russian jet, which accidentally violated Turkey's airspace, has been used to include NATO in the media war against Moscow's anti-terror op in Syria, said Aleksandr Grushko, Russia’s envoy to the Western military alliance. "The impression is that the incident in Turkish airspace was used in order to include NATO as an organization into the information campaign unleashed in the West, which perverts and distorts the purposes of the operation conducted by the Russian air forces in Syria," Grushko said. According to Grushko, NATO has ignored clarifications from Russia about the plane incident. 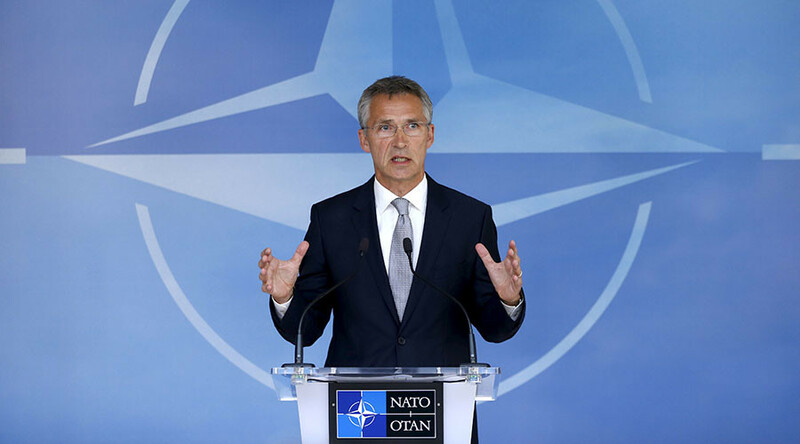 All attempts to explain the reasons behind the incident fell on deaf ears, however, with NATO Secretary General Jens Stoltenberg describing the situation as "unacceptable violations of Turkish airspace." “The fact that clarifications from the Russian side have been ignored just gives away the true intentions of the initiators of the [NATO] Council meeting." On Monday, Russia admitted making a mistake after its warplane violated Turkey’s airspace. The Russian Defense Ministry has explained that bad weather caused the incident. Ankara has accepted the explanation, saying there is no ill feeling between the two countries. NATO has slammed Moscow for what it deemed “irresponsible behavior,” however. The incident, which took place on Saturday, saw Turkey scramble two F-16 jets after a Russian military aircraft crossed into Turkish airspace near the Syrian border. Ankara also claimed that a MiG-29 fighter jet, which is used by both Russia and Syria, harassed two of its F-16s on Sunday by locking radar on to them as they patrolled the Turkish-Syrian border. The NATO chief refused to confirm the report. "Whether the Russian planes locked their fire control radars onto the Turkish planes is something I cannot comment on," Stoltenberg told reporters.